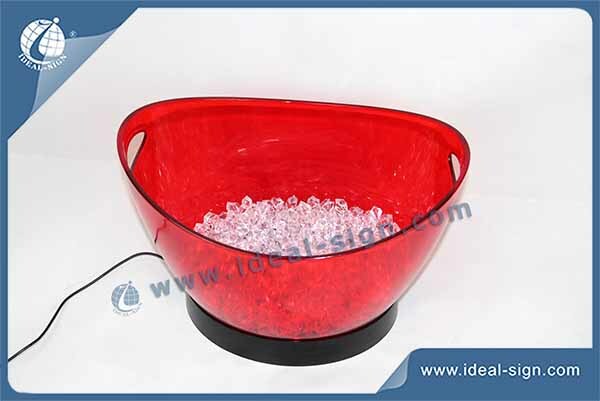 This is an injection plastic LED light up ice bucket in 7.5Liters. 3-4 bottles capacity for each bucket.We also have 12 and 3.5 L.
Simple elegant shape, with 2 ears for easy handling and top part can be separately from the lower part. A rechargeable battery is also can be provide as a better option. It can be light up for 8 hours after fully charged. Material for the bucket: AS or PS, available in different colors.